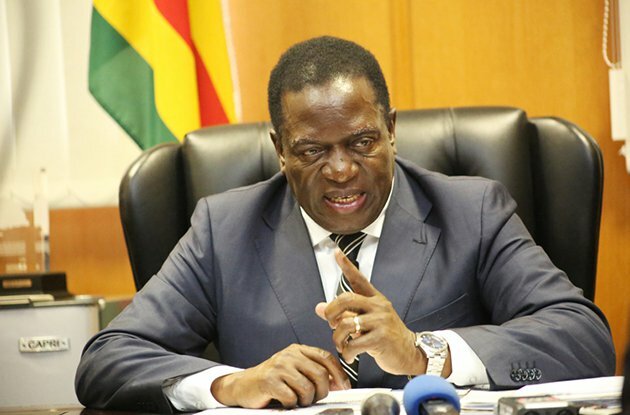 PRESIDENT Emmerson Mnangagwa yesterday warned retailers and companies against "unjustified" price increases which he said had brought untold suffering to ordinary Zimbabweans. Incidentally, as Mnangagwa was addressing the Zanu-PF youth assembly at the party's headquarters in the capital, retailers were warning of a fresh round of price increases. This comes as most retailers have sharply increased prices of basic consumer goods which they say have been passed onto them by manufacturing companies who continue to cite "ever-rising" production costs. Recently, both Finance minister Mthuli Ncube and Reserve Bank of Zimbabwe (RBZ) governor John Mangudya lashed at companies and supermarkets for "profiteering". Addressing Zanu-PF youth indaba yesterday, Mnangagwa said his government was disturbed by the continuing price increases which were "unjustified". "Government notes the present wanton, upsurge and ever escalating unjustified increase in prices. "We urge compatriots in industry, business and commerce to desist from this inhumane trend which has brought untold suffering and misery to our people. "We cannot have the continued exploitation of our people by those who exhibit rent-seeking behaviour," Mnangagwa warned. Across town in Msasa, wholesalers and retailers who were holding their own indaba warned of fresh price increases because of "the current volatility in the economy". Confederation Retailers of Zimbabwe (CZR) board member Alois Burutsa said the recent hike in grain producer price and the surging illegal foreign currency rates, would contribute to further increases. "Basically the suppliers are increasing their prices in relation to the movement of the foreign currency black market…even distributors who import finished products," said Burutsa. Confederation of Zimbabwe (CZI) president Sifelani Jabangwe said the movement of rates on the interbank market was the barometer companies were using to determine prices – adding that they were worried by the current instability in the economy. "Instability is not good for all of us and business is concerned about the movement in prices… and the concerns are related to the past. "If the rate moves and you are pricing wrongly you actually then suffer from inadequate working capital. "This is a genuine fear that is in business and we need to see how we can address this,"Jabangwe said referring to the volatility of the interbank market rate. RBZ deputy director Nebson Mupunga said the monetary authorities were "surprised" by continuing price increases at a time inflation was going down. "We are witnessing that inflation is actually stabilising, although in the morning I still heard that prices are still going up. "From government the issue of money supply is actually being dealt with and going forward money supply will not be a major driver of inflation in this economy," Mupunga said. Recently, business warned that prices were likely to keep on rising unless the interbank market - which now allows the trading of foreign currency on the open market - was supported by more foreign currency allocations by authorities. In February, Mangudya introduced RTGS dollars together with an interbank market which allows the formal trading of foreign currency among banks. However, the RTGS dollar - which opened trading at 2,5 against the US dollar when it was introduced - has since lost more than 20 percent of its value, with the interbank market battling to attract money. At the same time, the black market continues to give attractive rates against the RTGS, forcing sellers to do business there - and, in turn, leading companies to buy forex for their needs at a premium. Although Zimbabwe is expecting a good tobacco season, there has been little activity at the auction floors since they opened their doors to buyers last month, as farmers haggle with merchants over the prices of the golden leaf on offer. Meanwhile, the Grain Millers Association of Zimbabwe (Gmaz) said millers would be increasing the price of mealie-meal next week. It said the price increases have been necessitated by government review of grain producer price of maize which has now been hiked to RTGS$726 per metric tonne. Speaking after a breakfast meeting with southern region millers in Bulawayo yesterday, Gmaz chairperson Tafadzwa Musarara said that they had been left with no choice but to increase prices. "Government has increased prices of maize by a huge margin and we appreciate the reasons for doing that. "We are also grateful that they have given us a 30 percent subsidy. The net effect of it is that maize has gone up by close to 70 percent…it's a cost that we can't absorb. "We have agreed as to when we are going to increase it but we can't announce that to you before we announce that to government," Musarara told the Daily News.